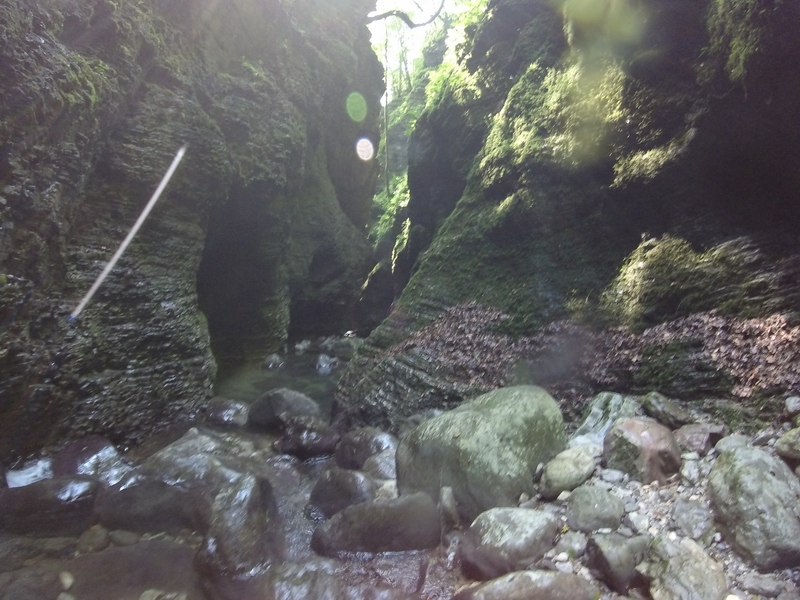 Stream Susec underneath Mt. 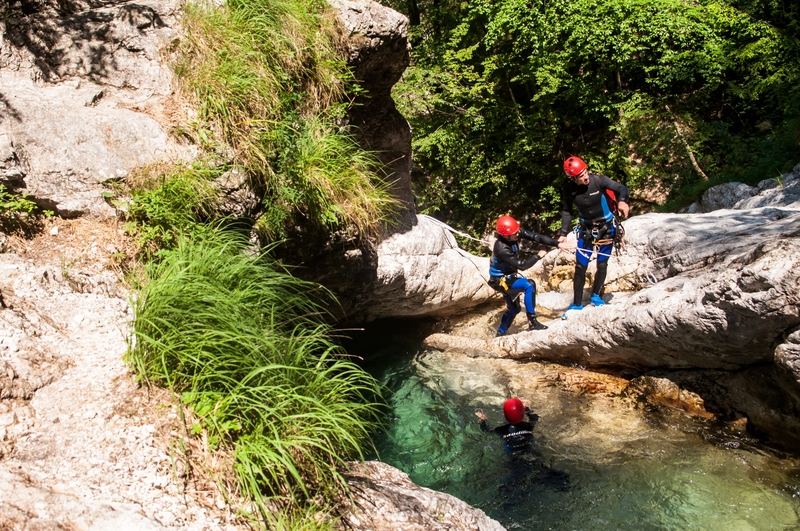 Stol has created an ideal “water park” for the youngest as well as for all those who want some refreshment and a lot of fun while going down the natural water slides and splashing in pools during the hot summer days. 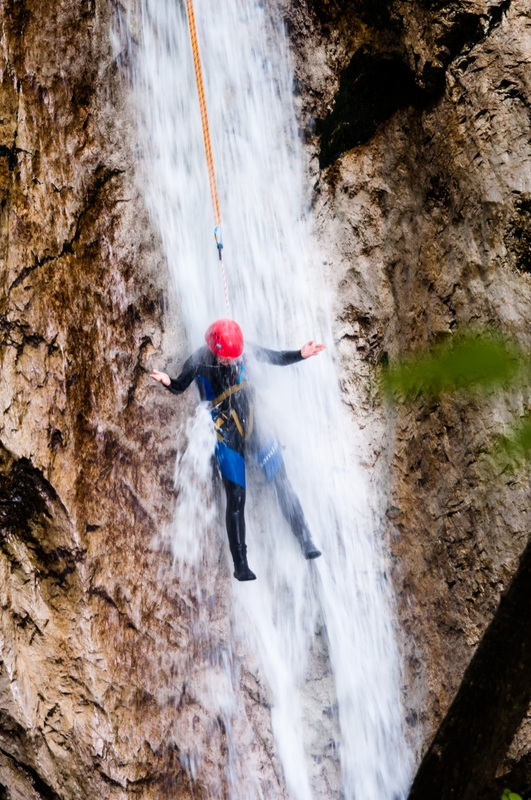 You will be able to jump as much as 7 meters and slide down a 12 meter waterfall. 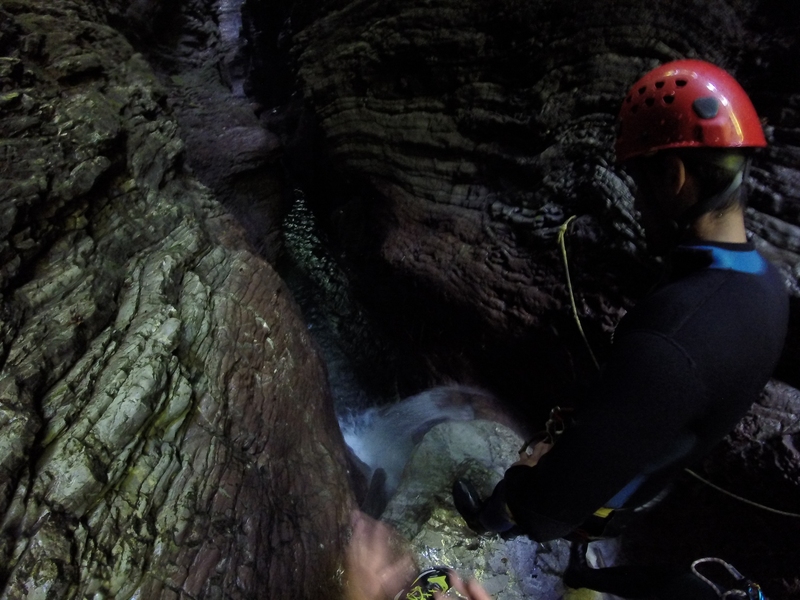 After 20 minutes of ascent the adrenalin will fill your veins and the adventure will begin. 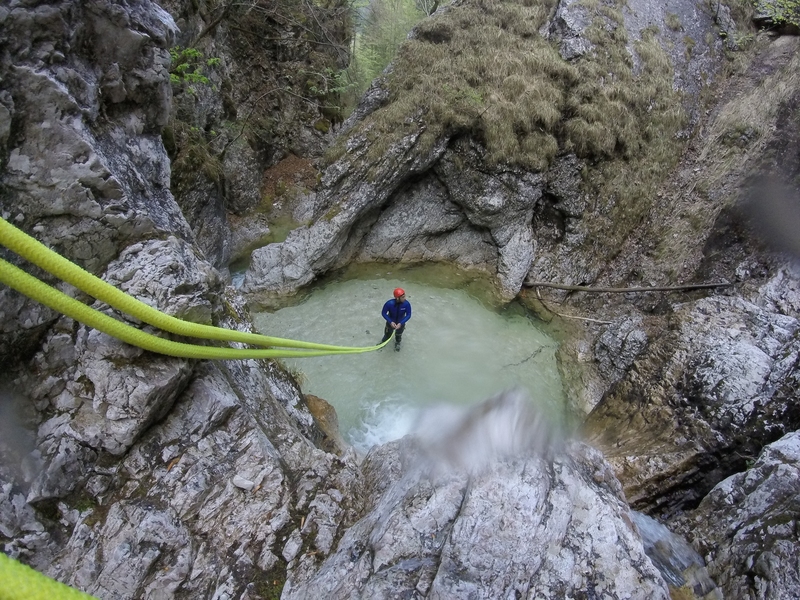 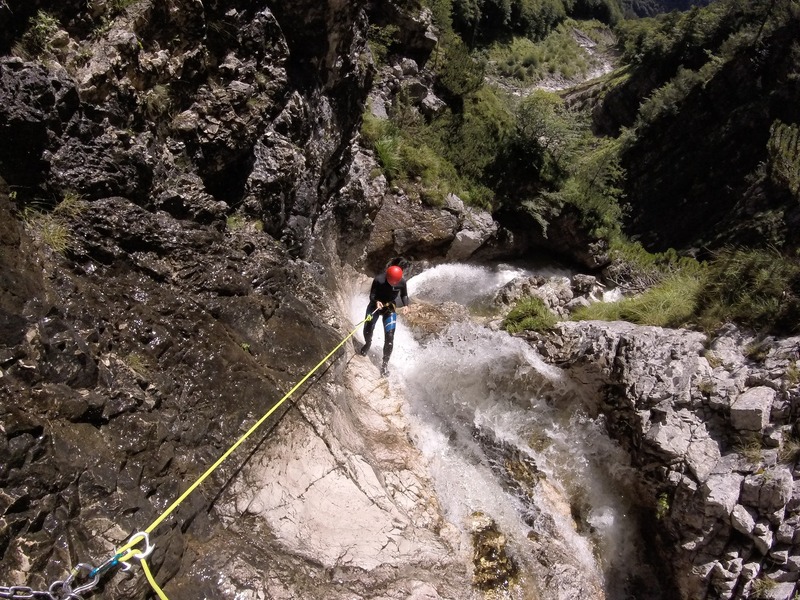 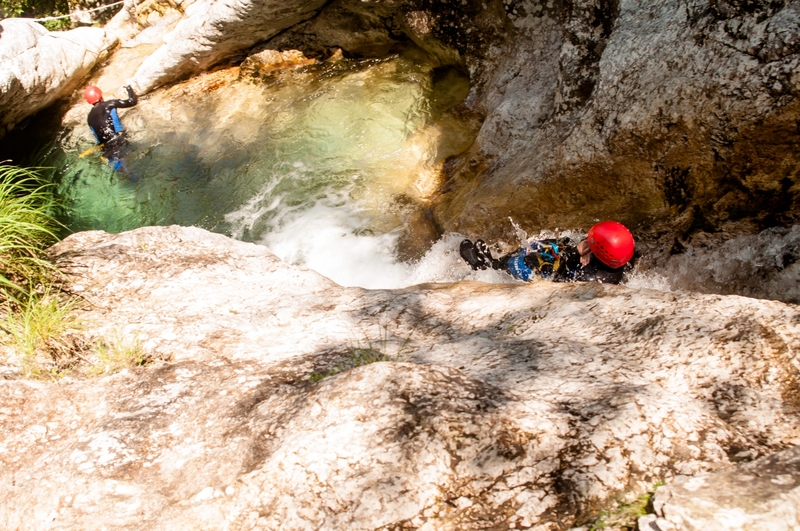 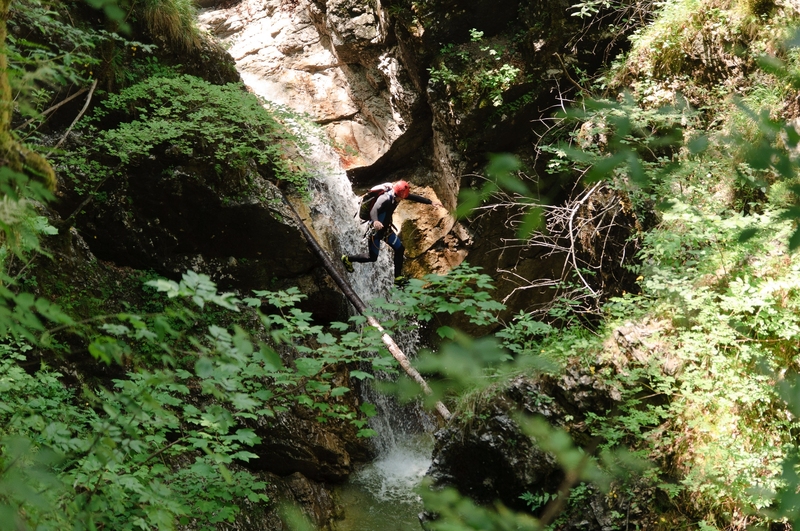 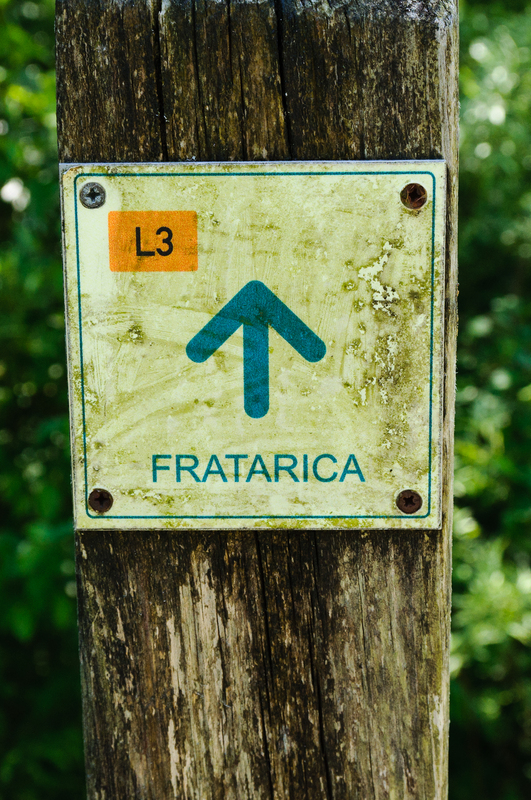 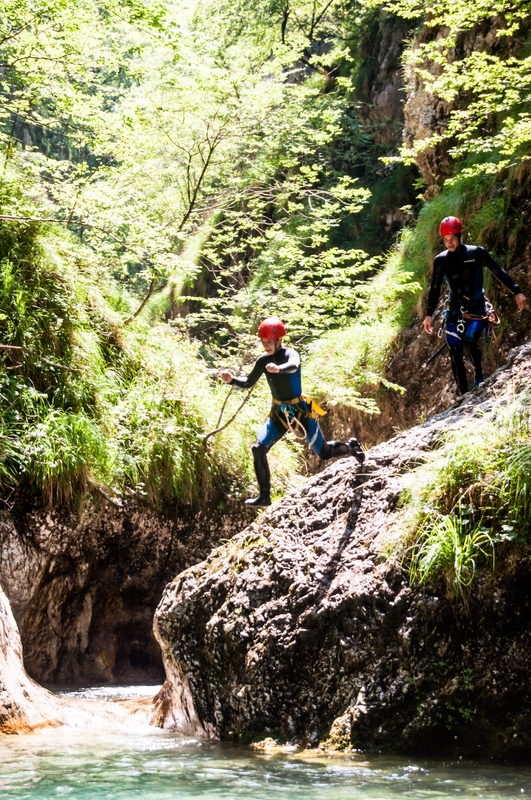 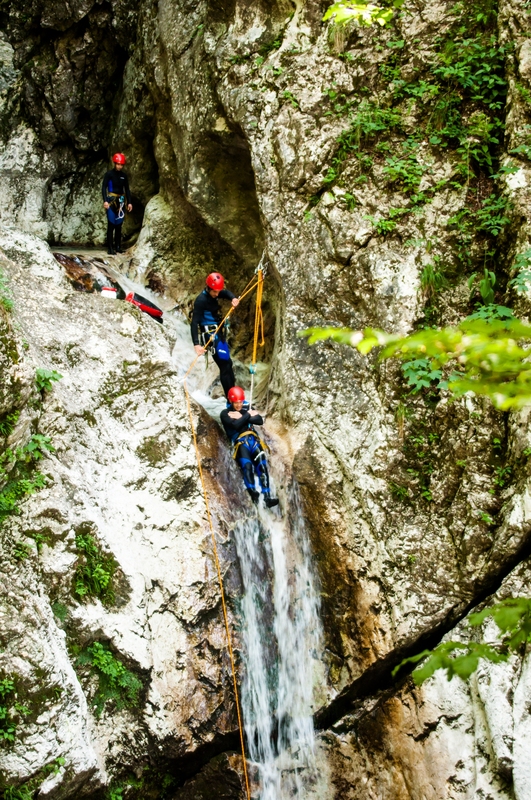 Above the village of Log pod Mangartom in the Triglav National Park, the stream Fratarica carved beautiful small waterfalls that you can slide down or some larger ones that our experienced guide will let you down with a climbing rope. 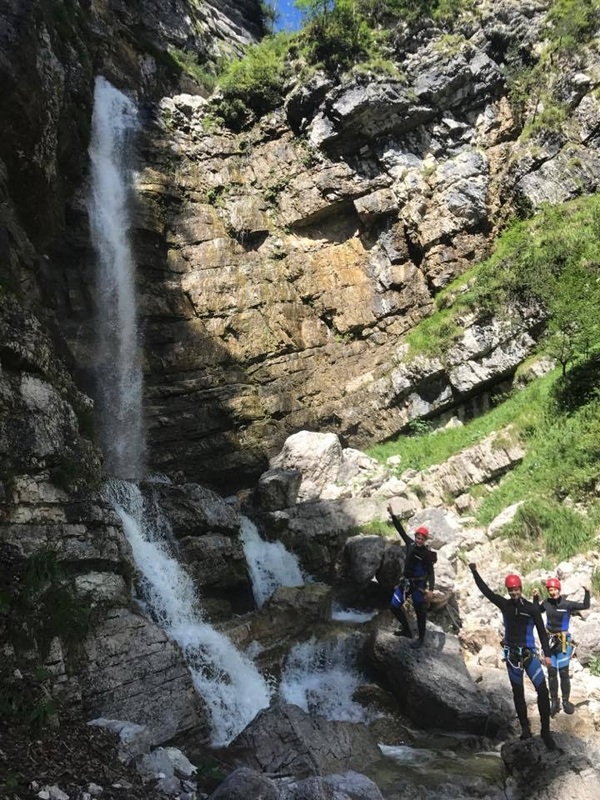 Already during the walk to the entry point, which lasts between 20 and 40 minutes, you will notice the Parabola waterfall, which will surely drive the most adrenaline through your veins, because you will descend on this 50 meter high waterfall. 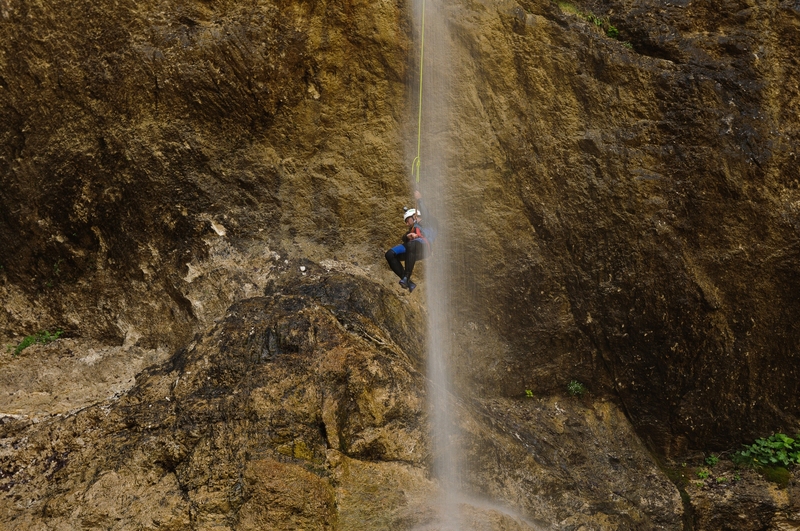 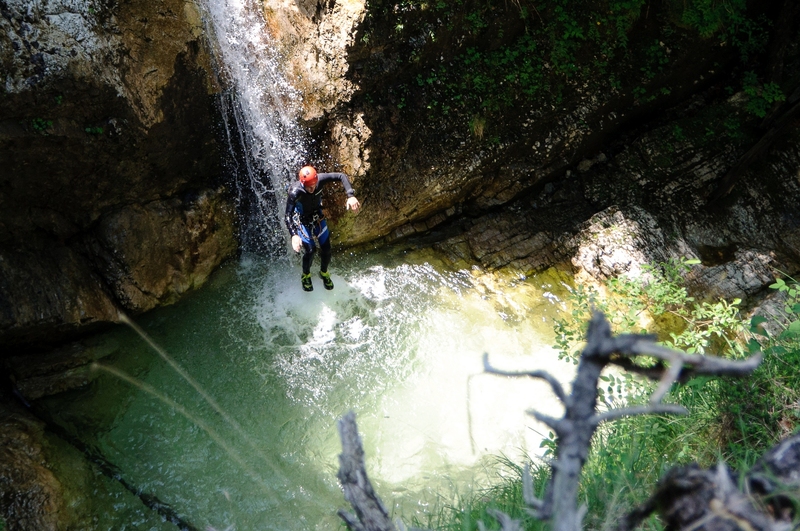 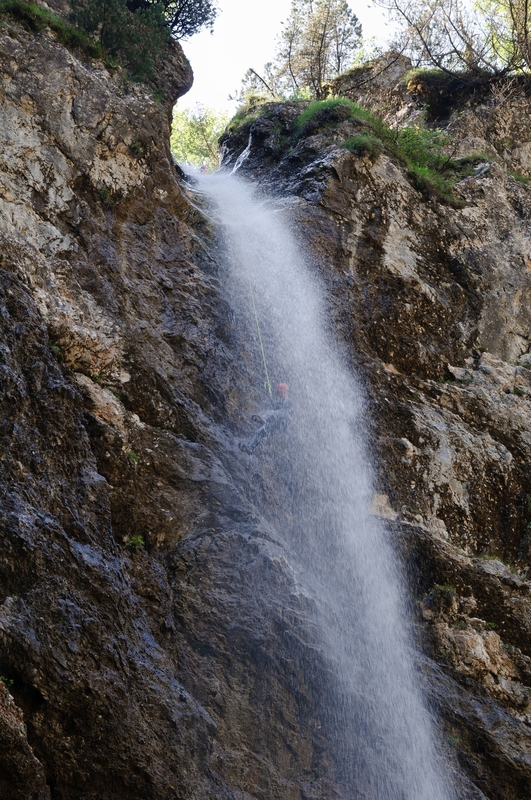 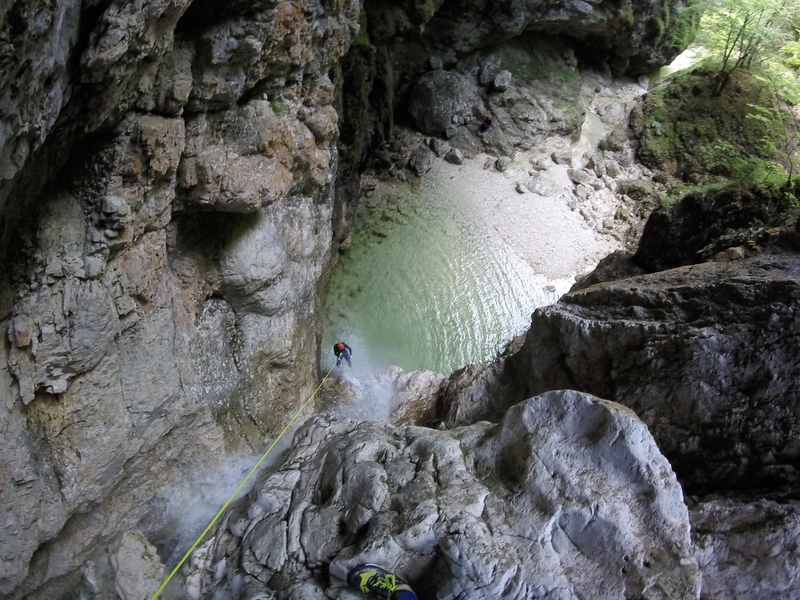 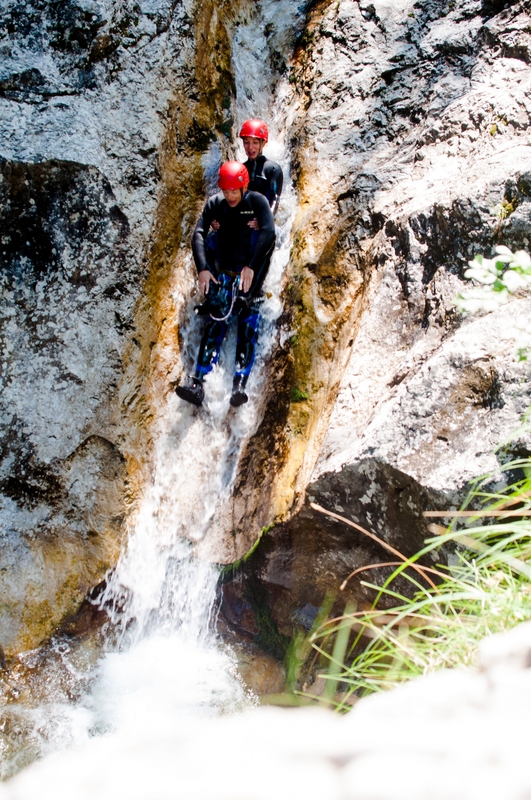 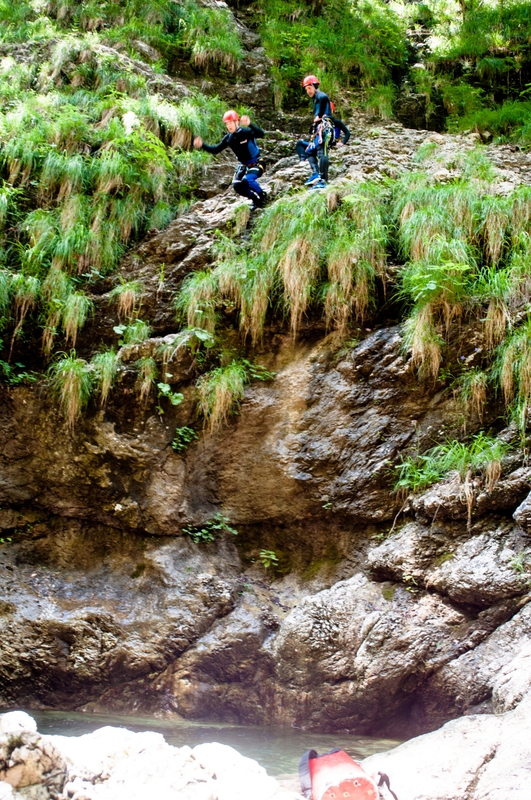 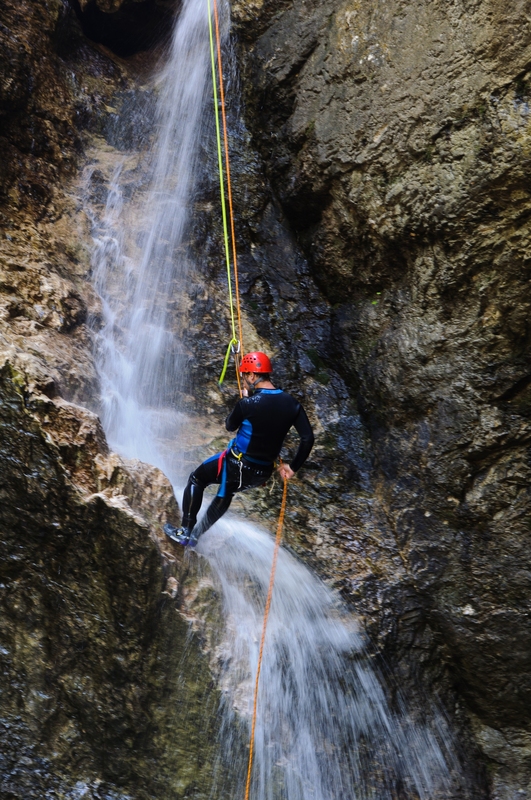 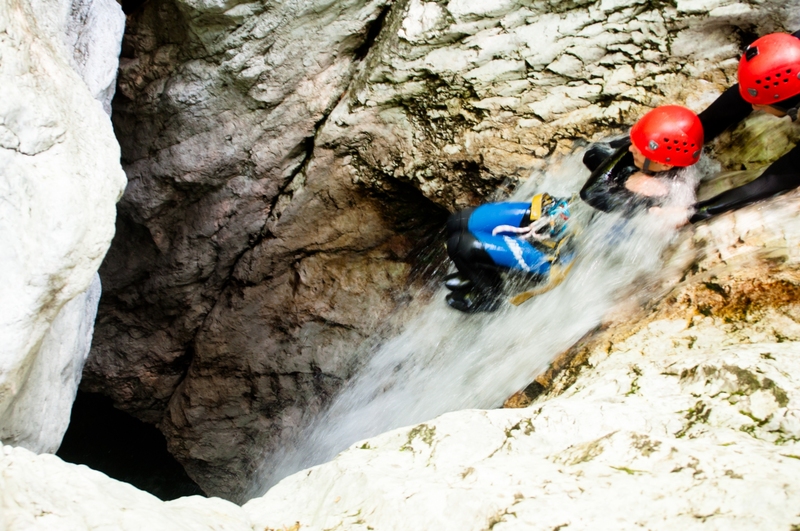 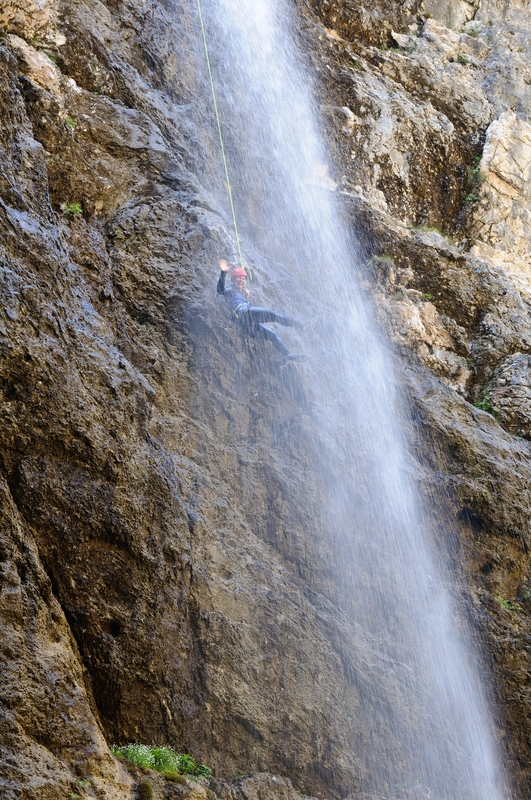 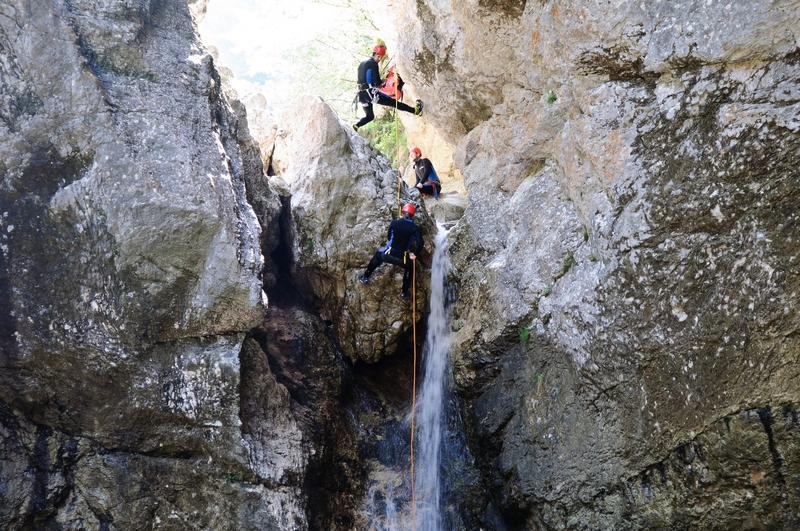 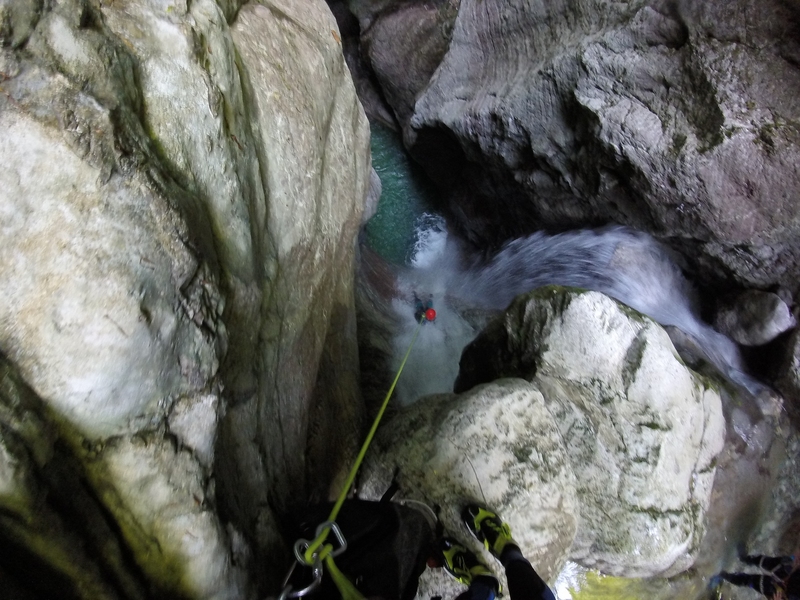 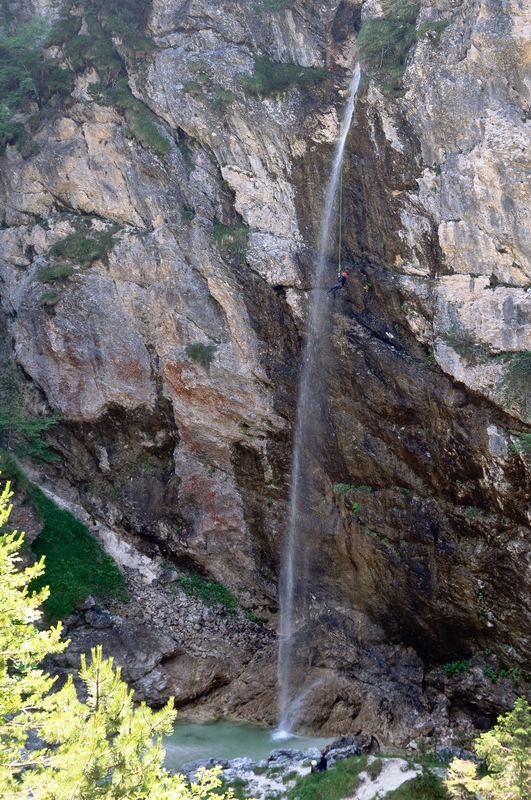 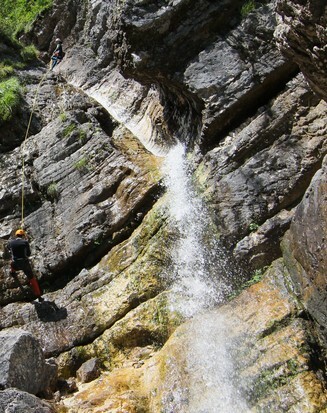 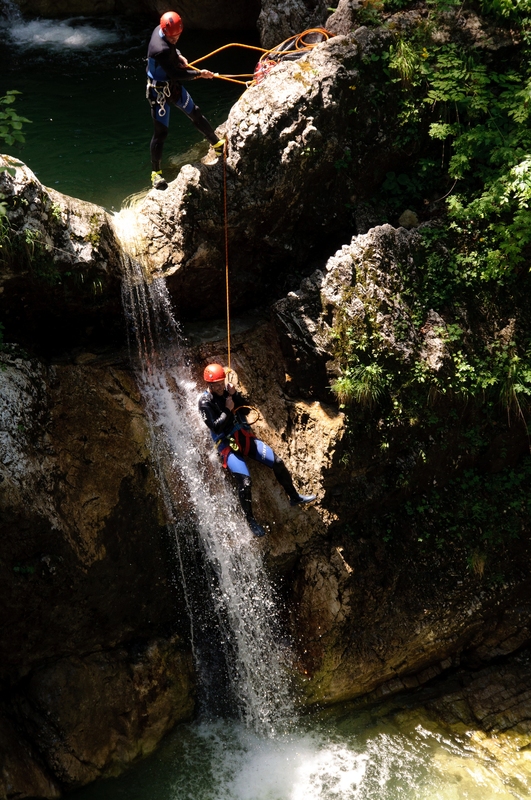 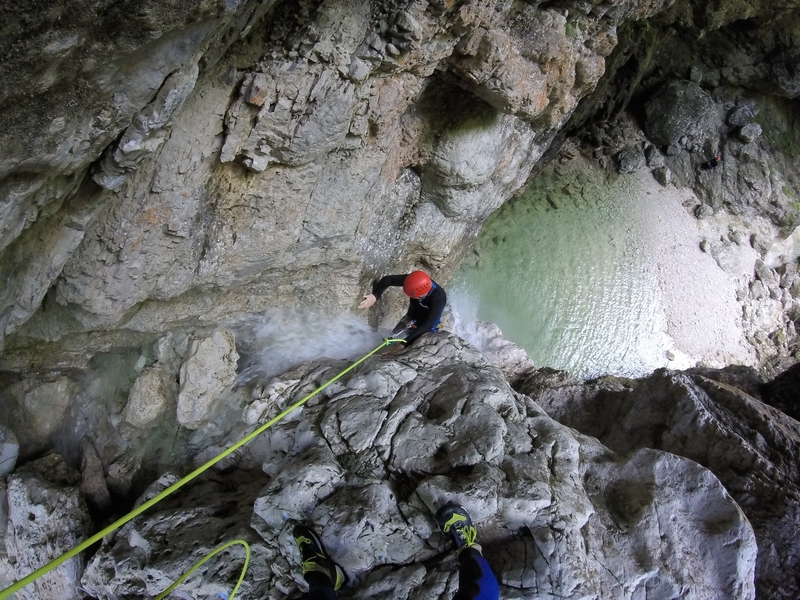 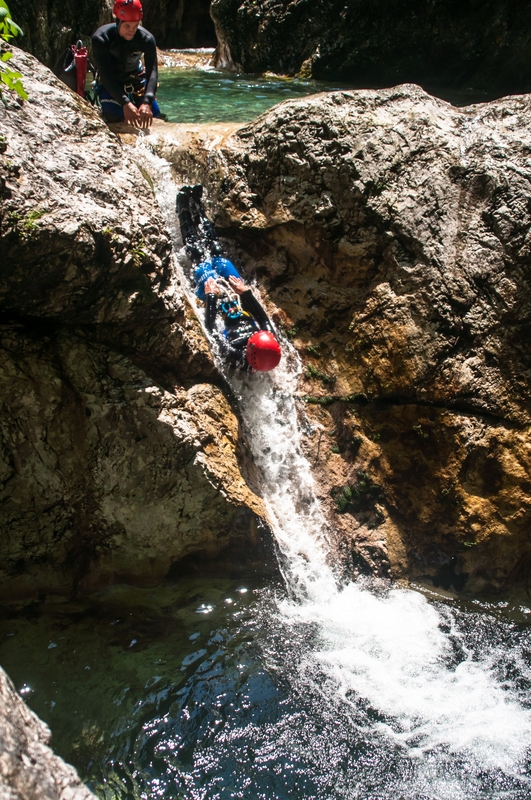 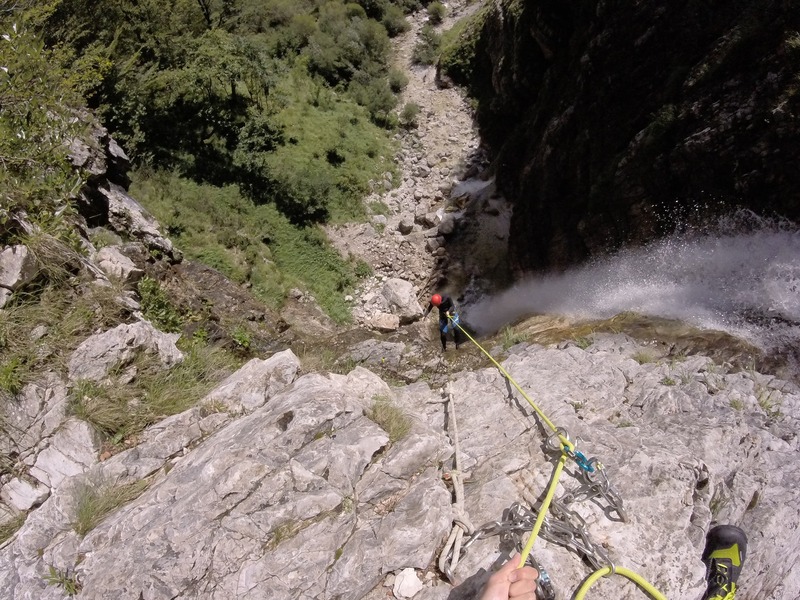 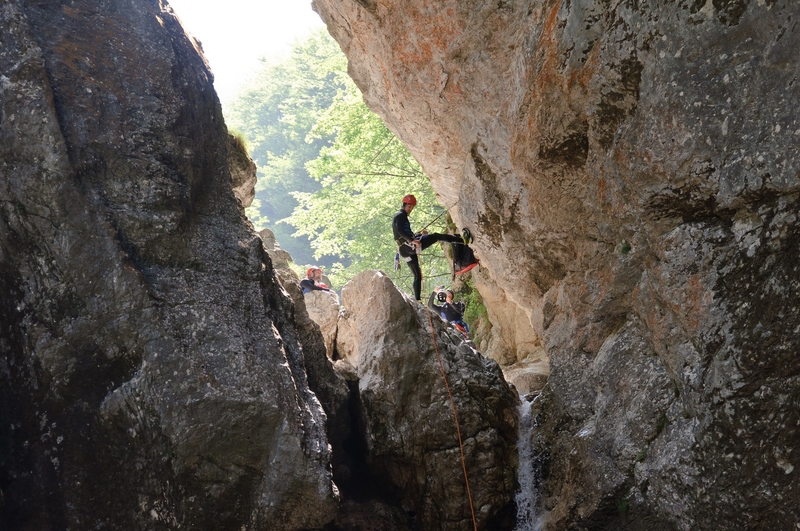 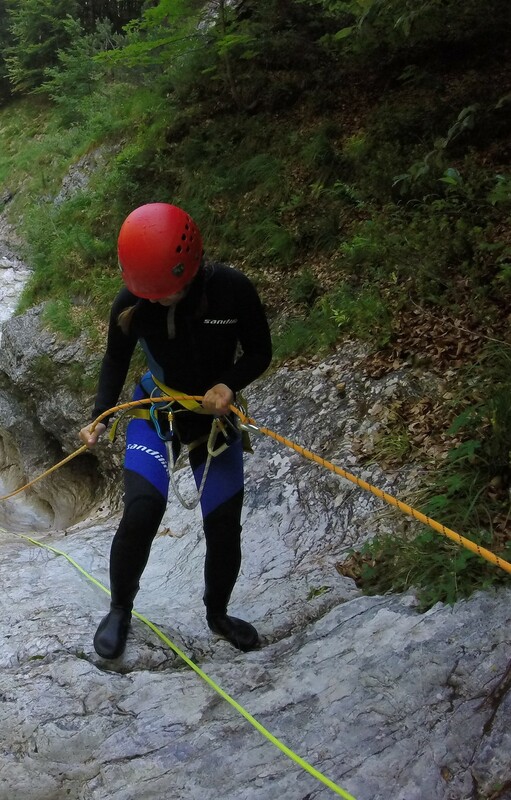 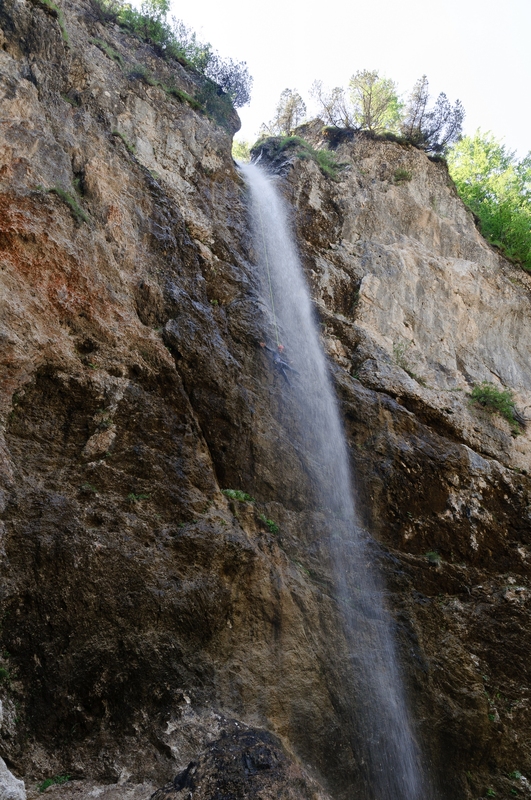 Predelica is the highest-lying canyon in which we do canyoning as it is located at about 1000 meters above sea level. 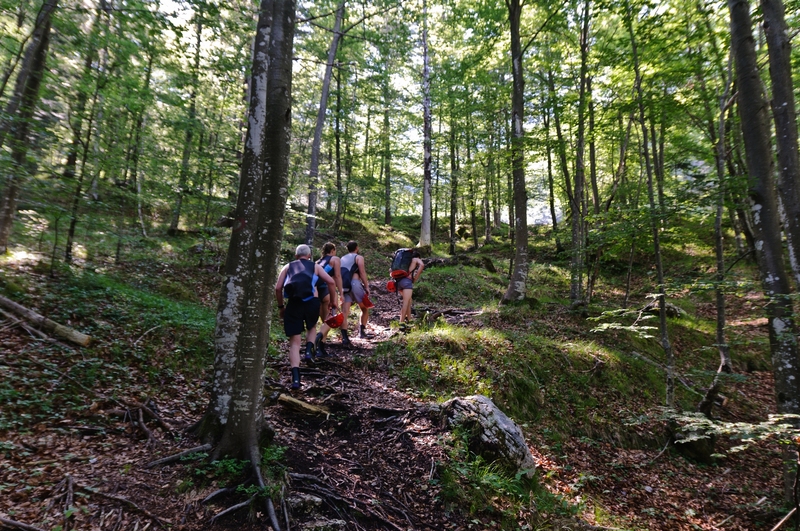 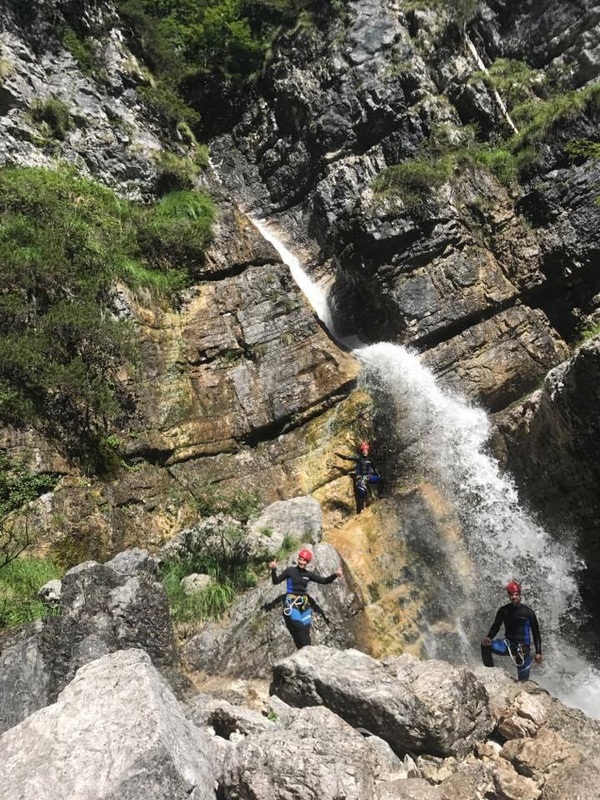 After a 30 minute walk to the entry point, you can enjoy mountain water, which has a beautiful emerald color, in the embrace of the Julian Alps overlooking the mighty Loska stena. 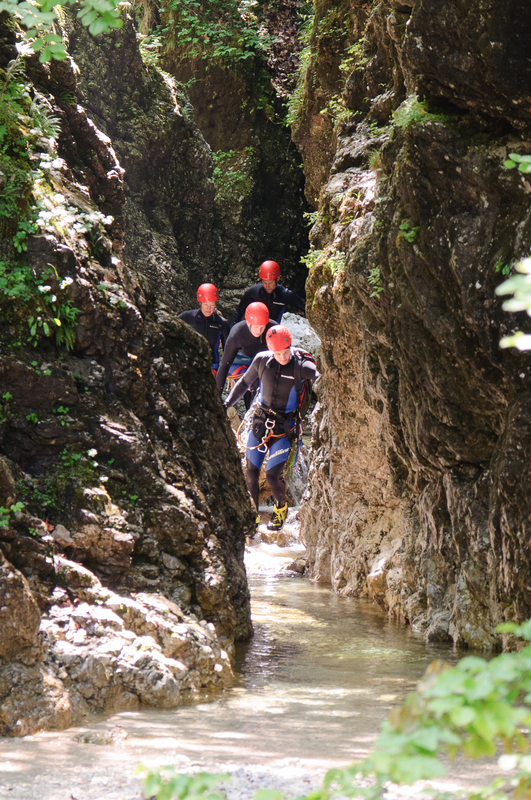 At the end of this adventure you will go down the smooth wall through which the water flows. 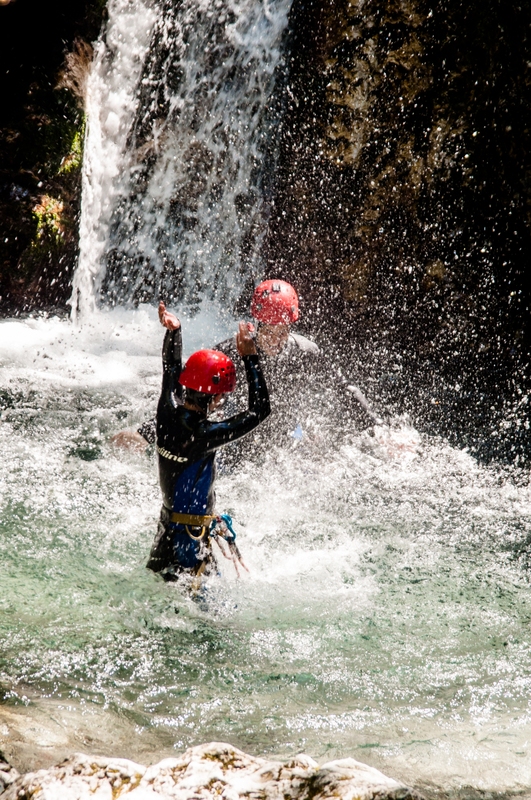 For this activity you need 3 to 4 hours, your experience on the water will take between 2 and 3 hours. 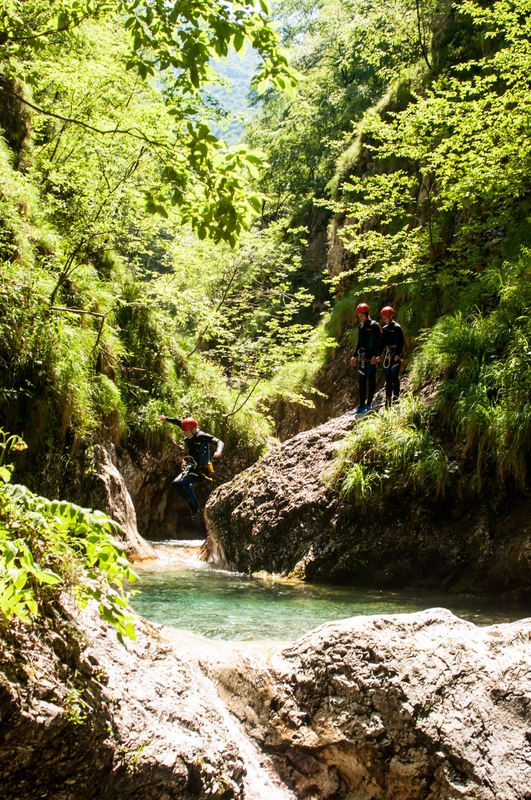 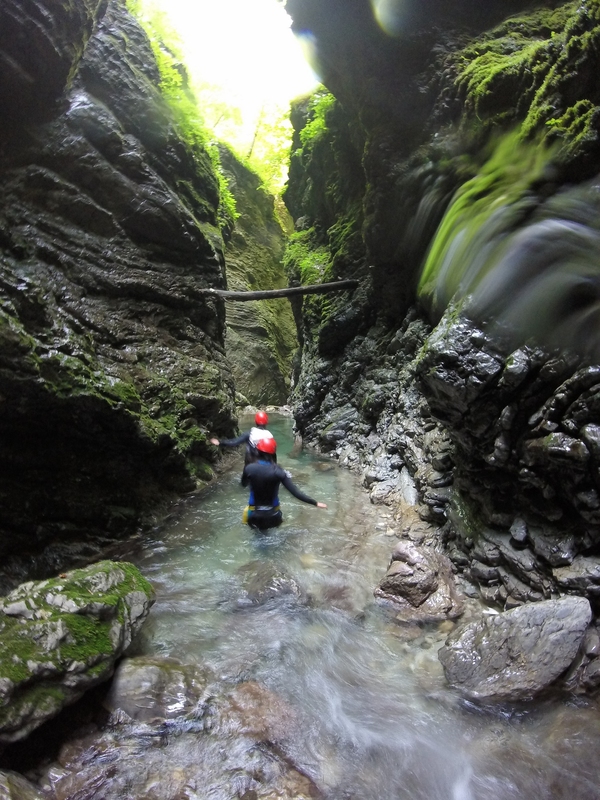 Near the historic town of Kobarid there is a gorge of the Kozjak stream. 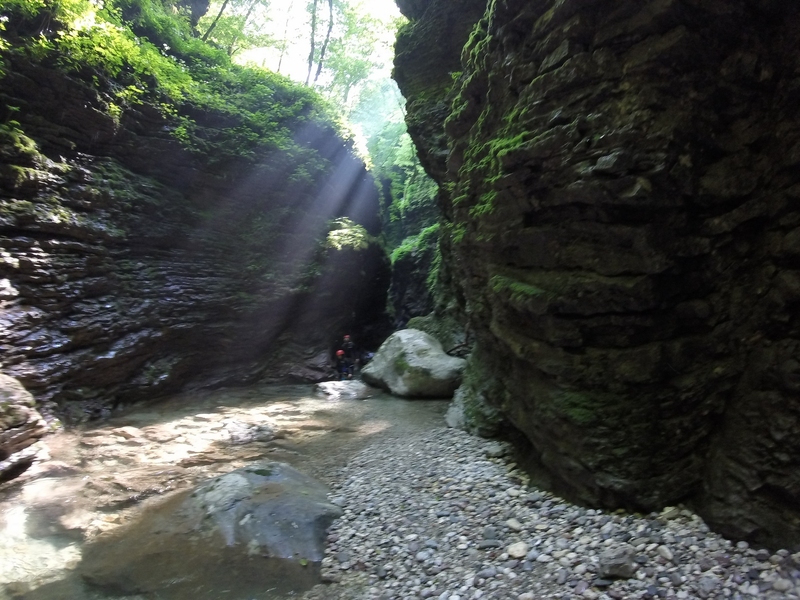 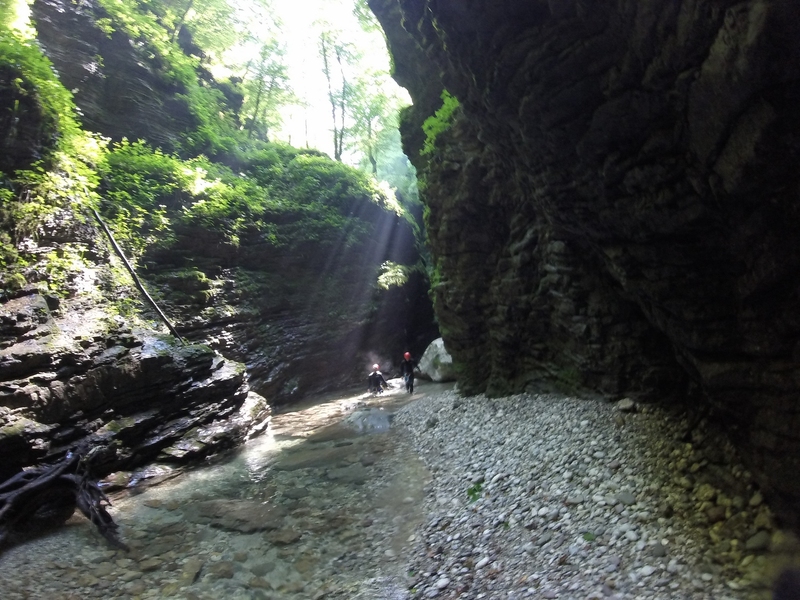 After a few minutes of walking you will enter one of the greenest canyons in our area. 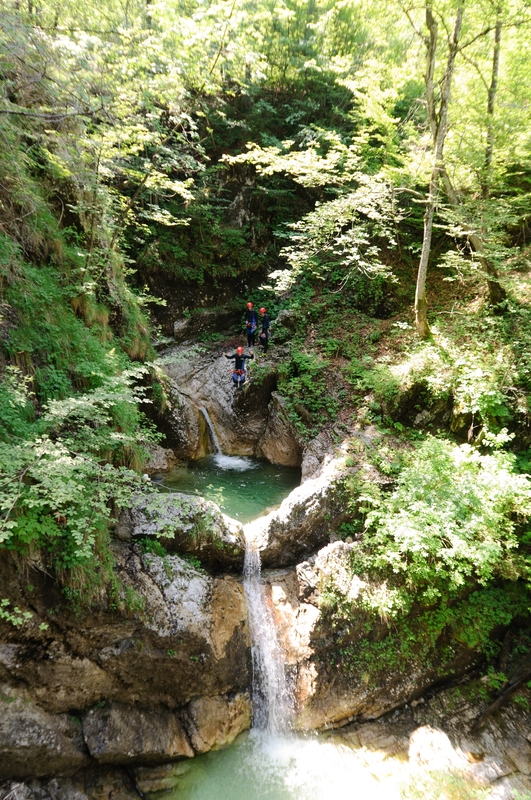 The stream has formed a narrow gorge, where you will be able to experience an unforgettable adventure while descending down the waterfalls and jumping into deep pools. 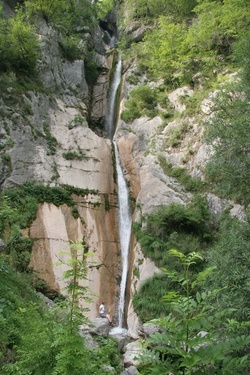 In the end, you will find the highest waterfall, which measures 15 meters in height. 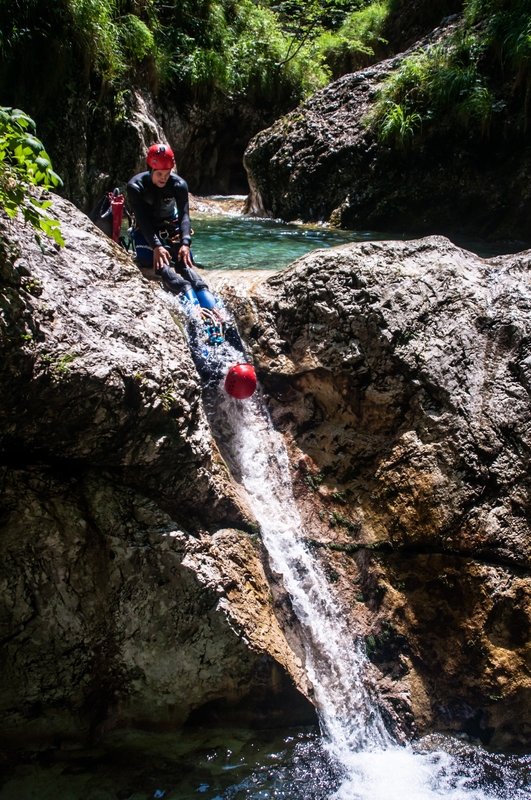 The bravest ones will, in the end, be able to jump into the Soca river and feel a significant difference in temperature. 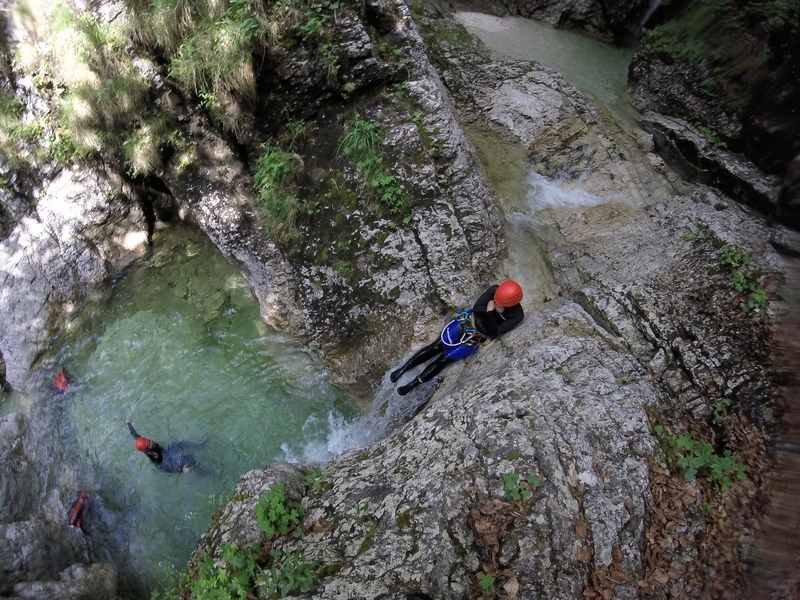 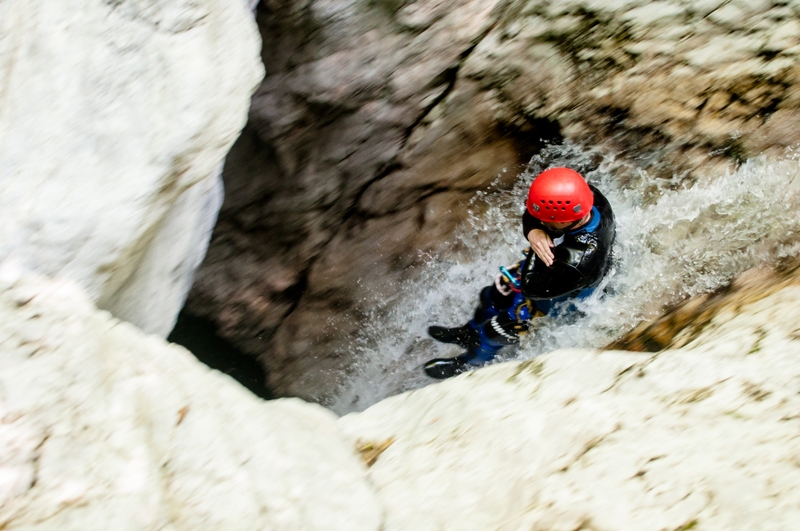 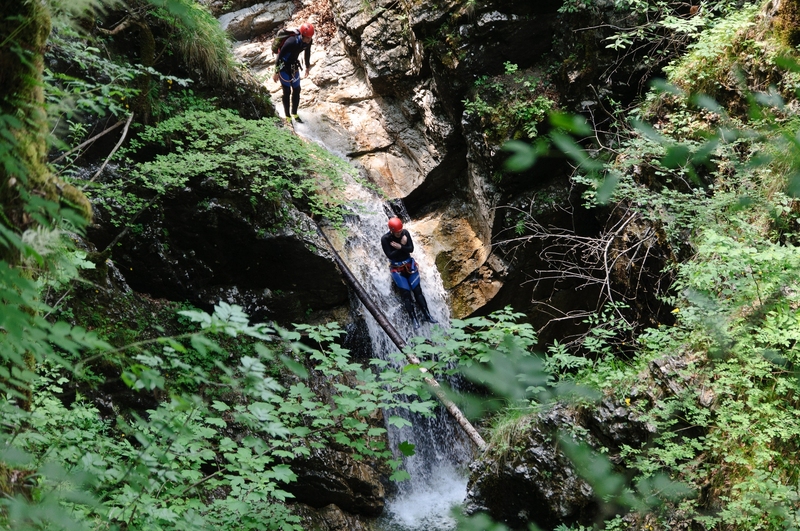 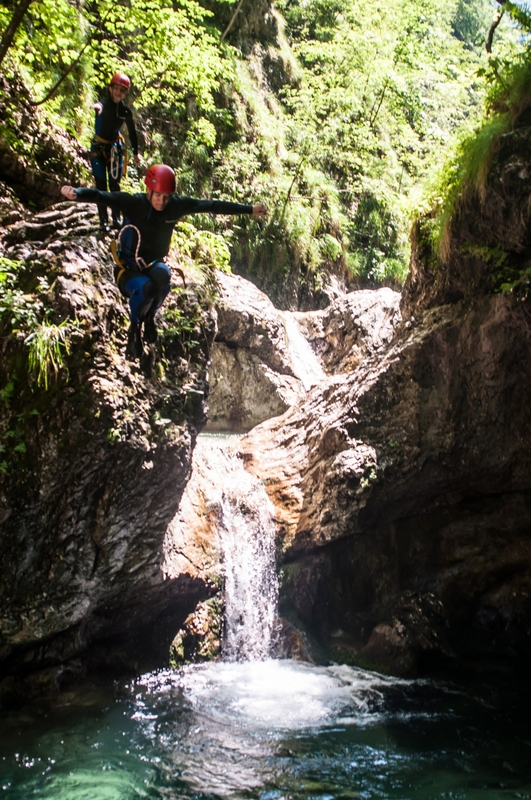 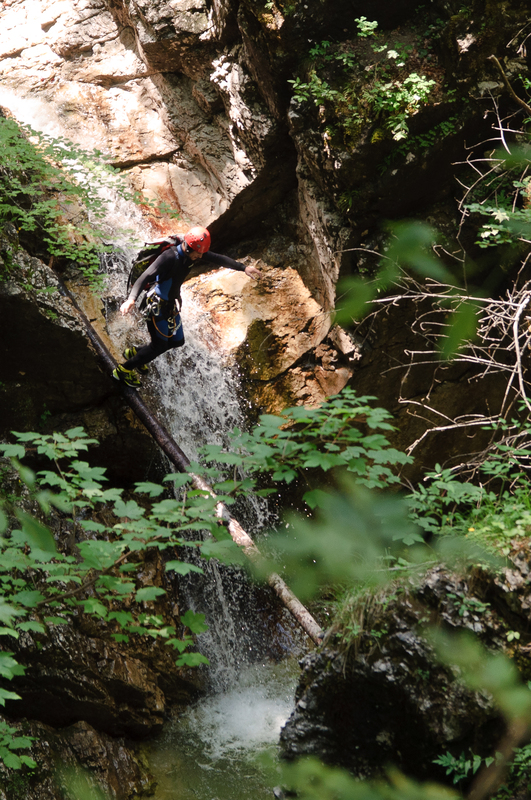 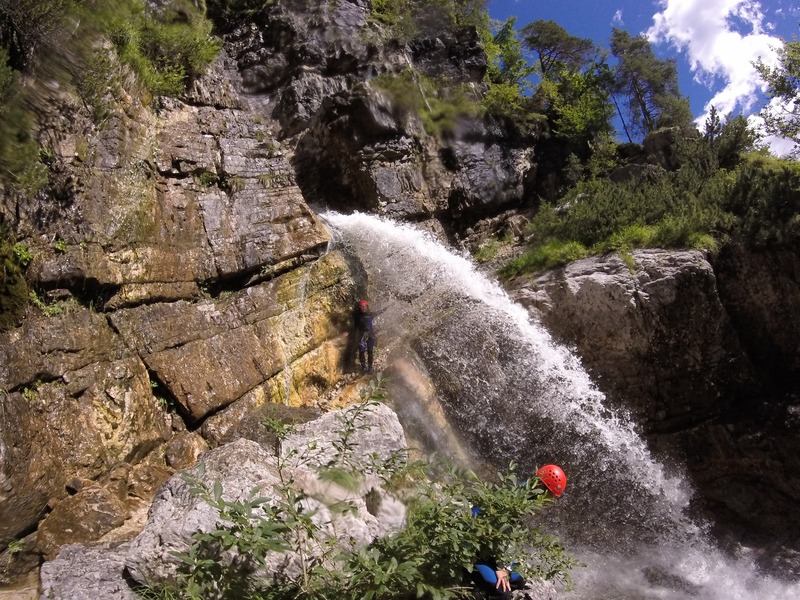 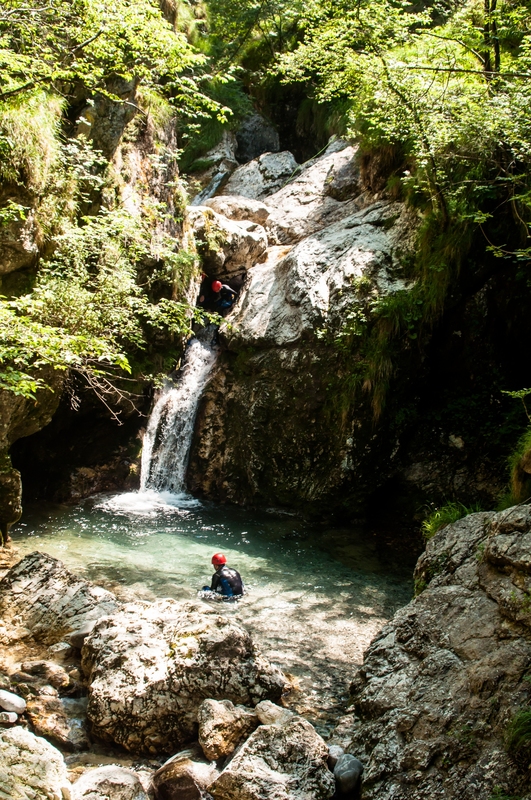 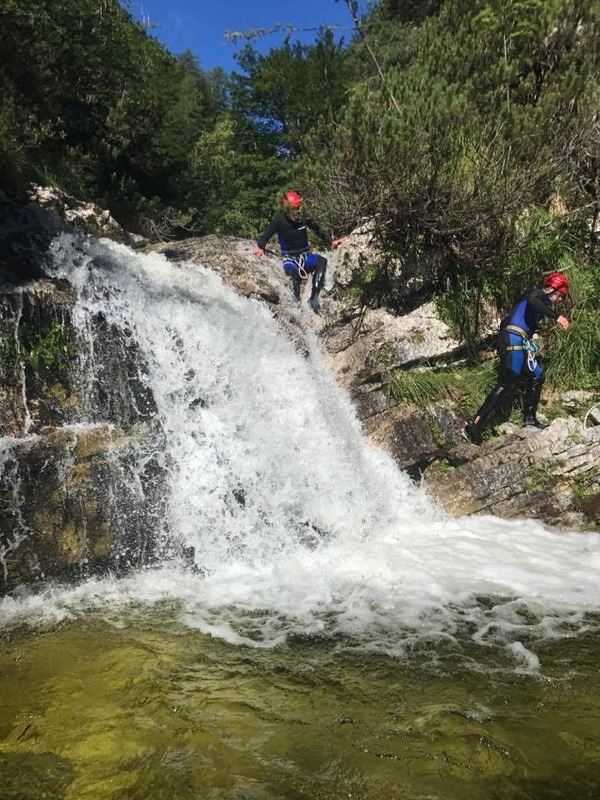 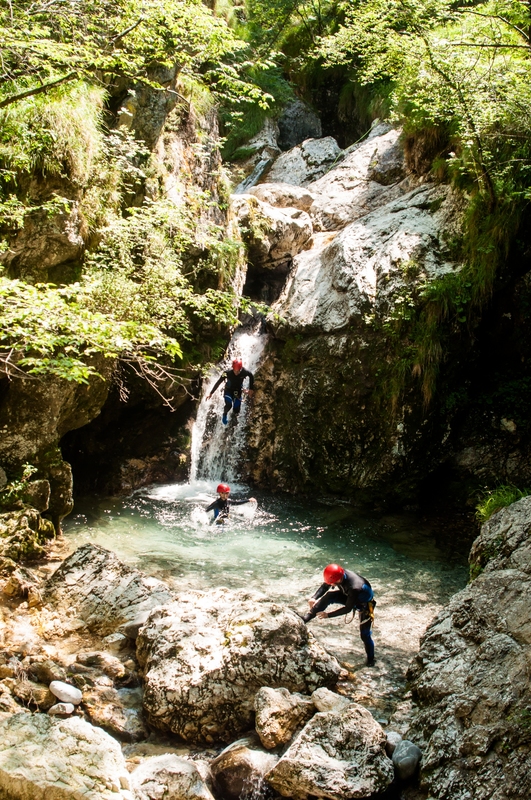 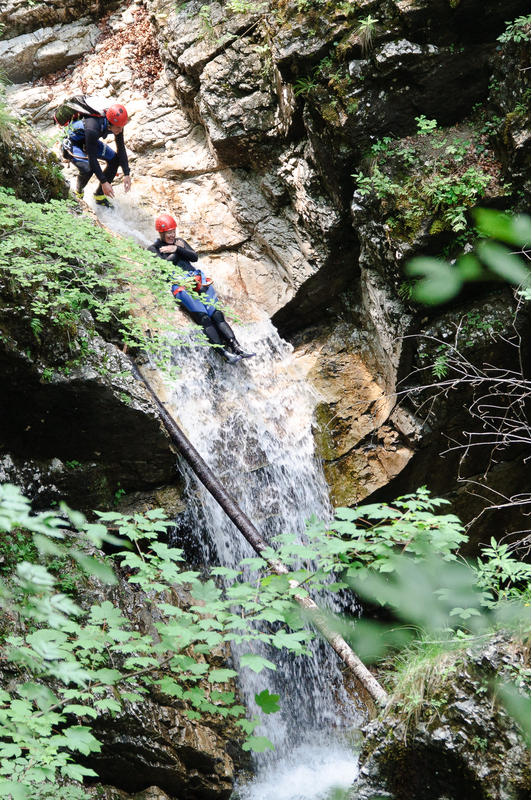 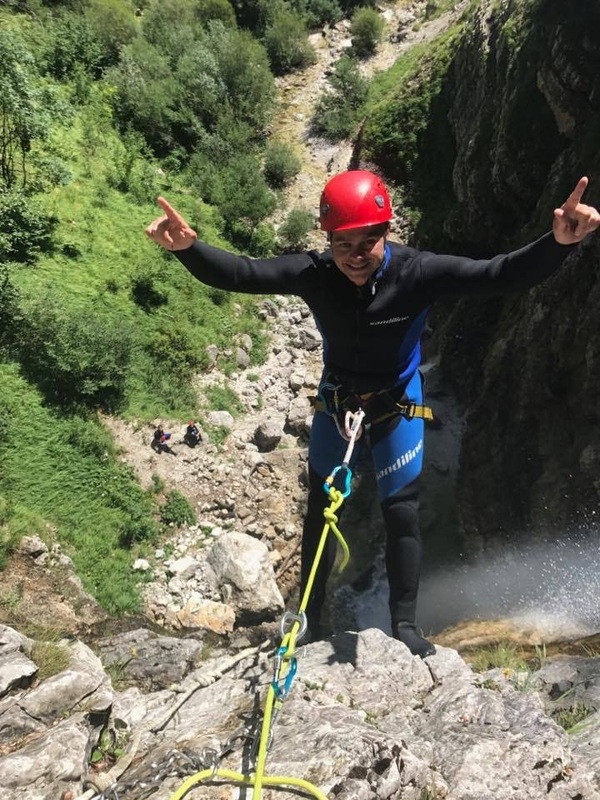 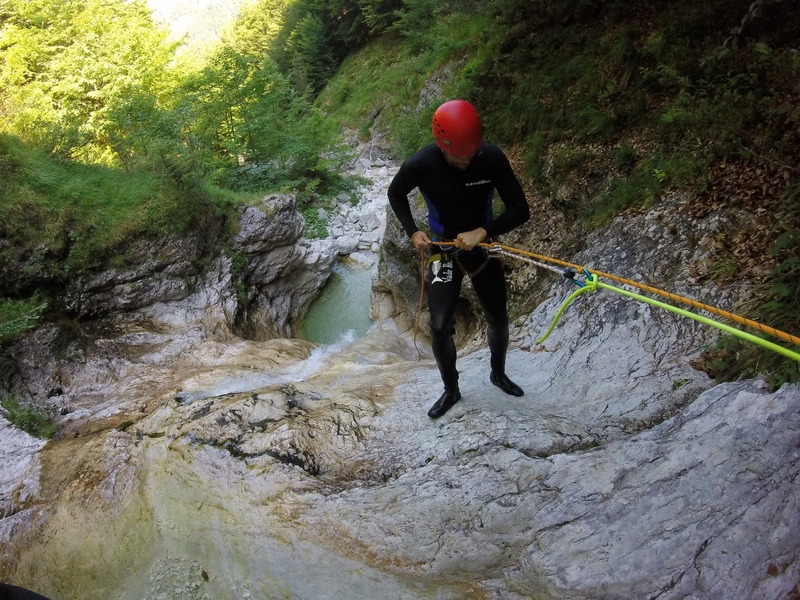 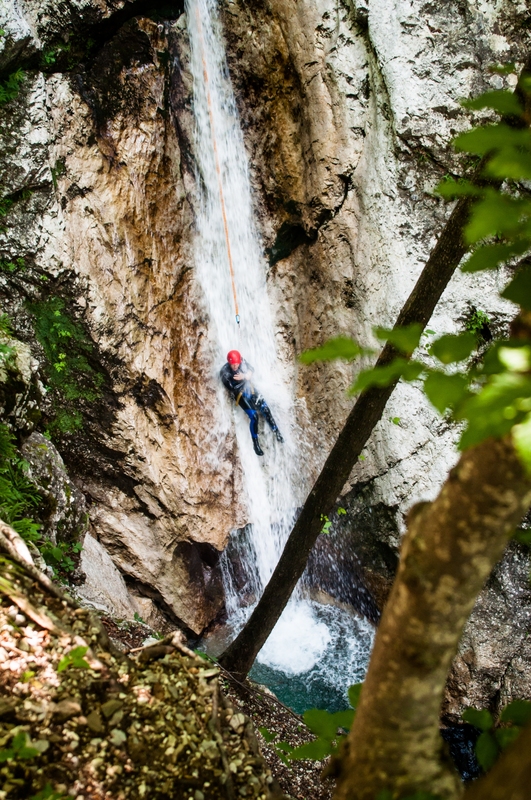 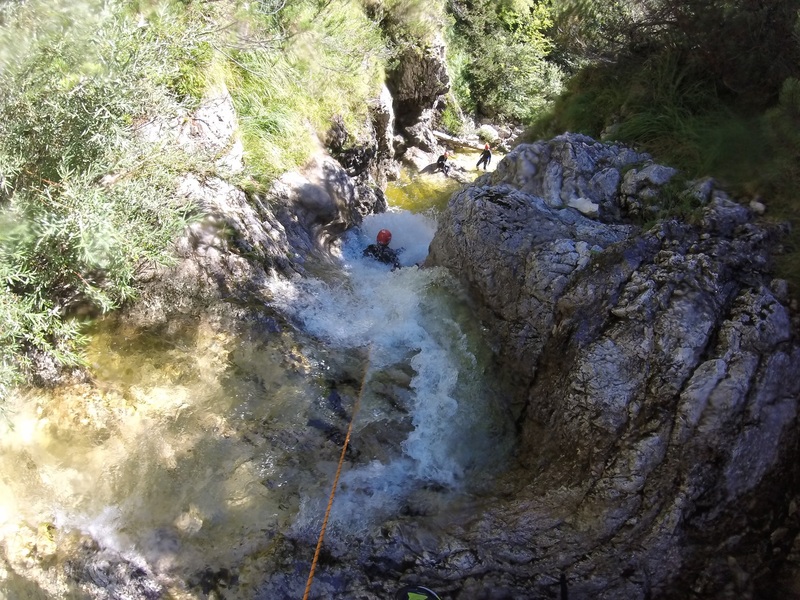 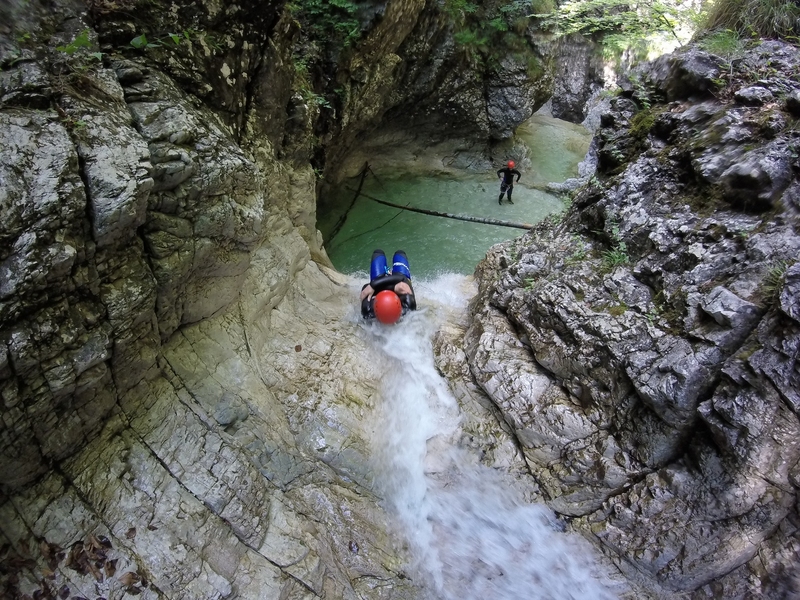 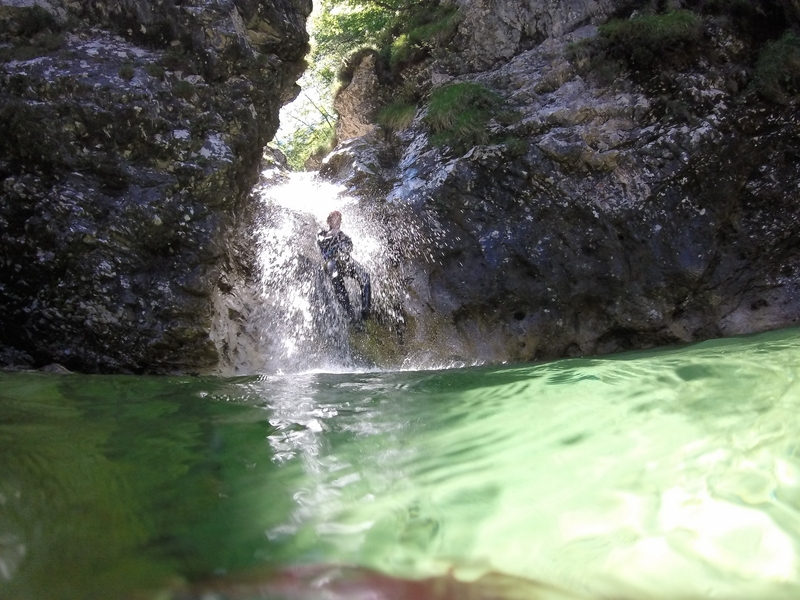 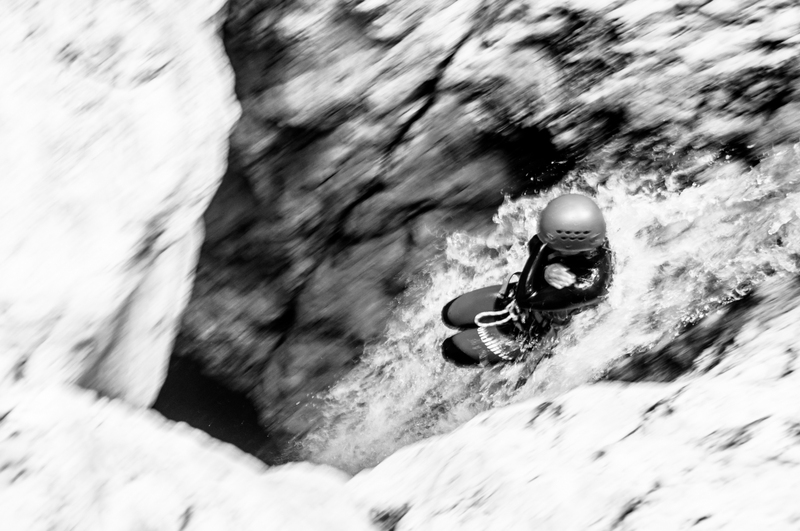 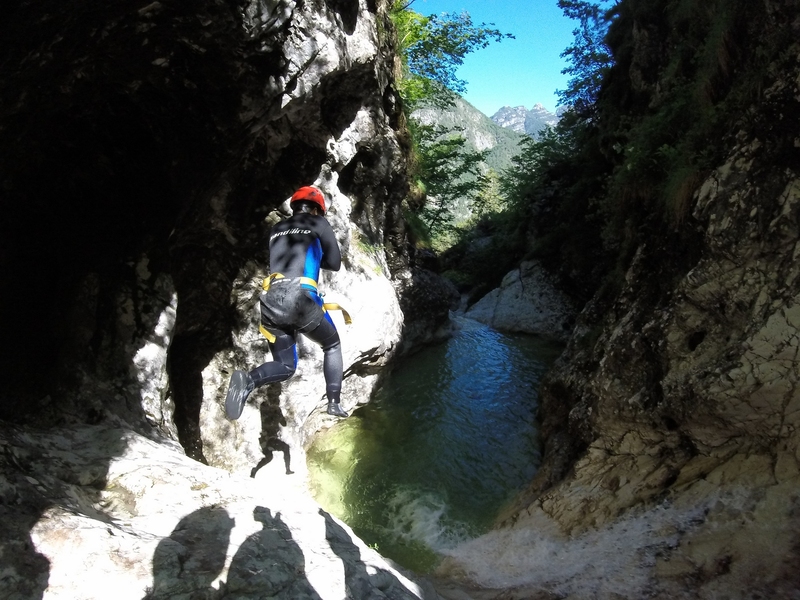 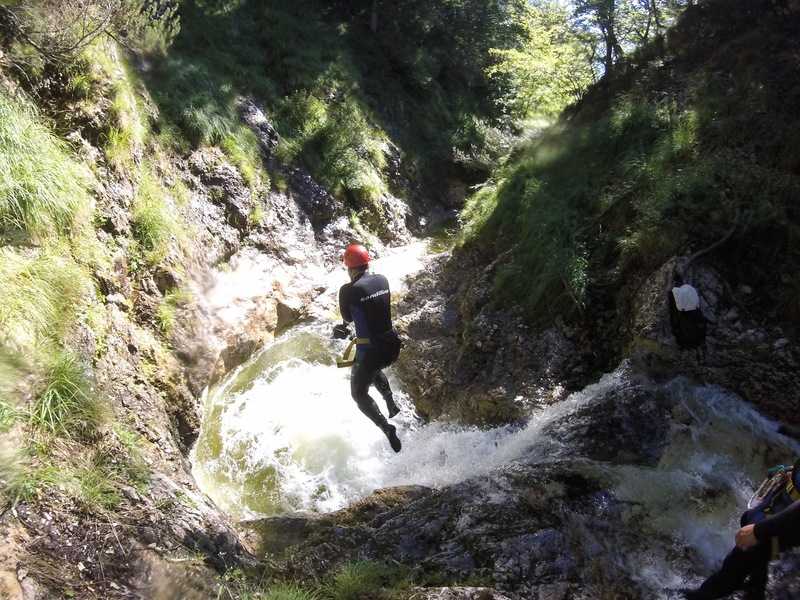 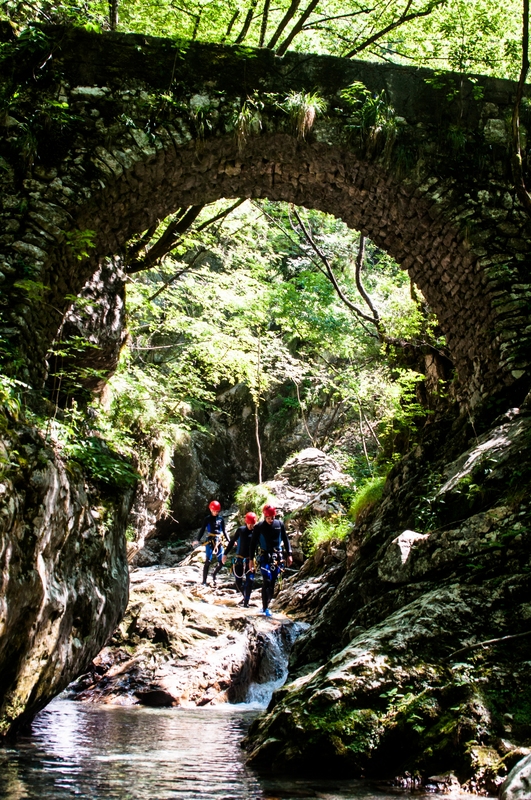 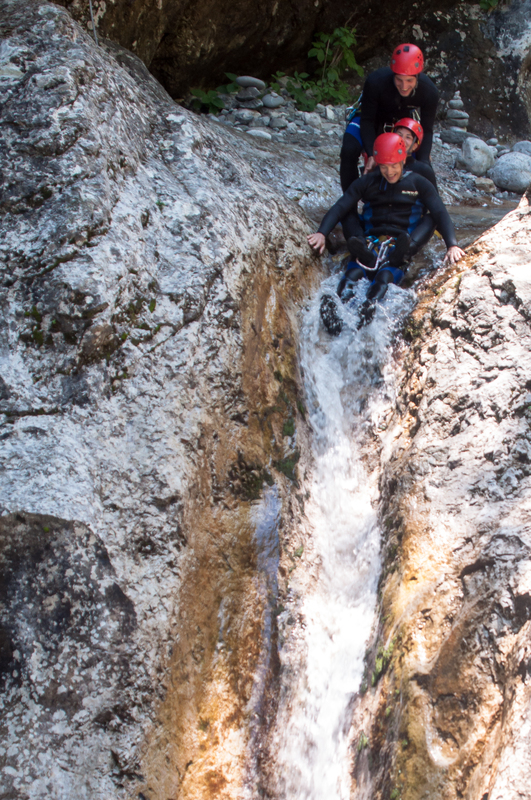 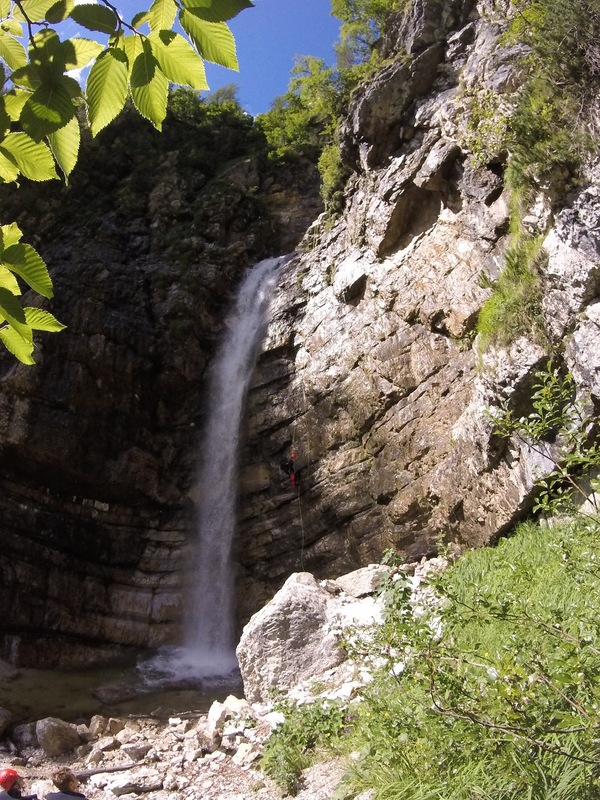 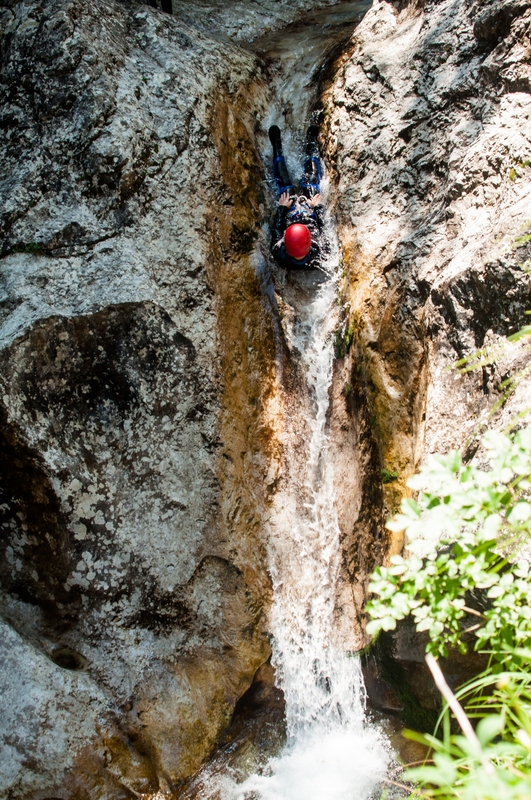 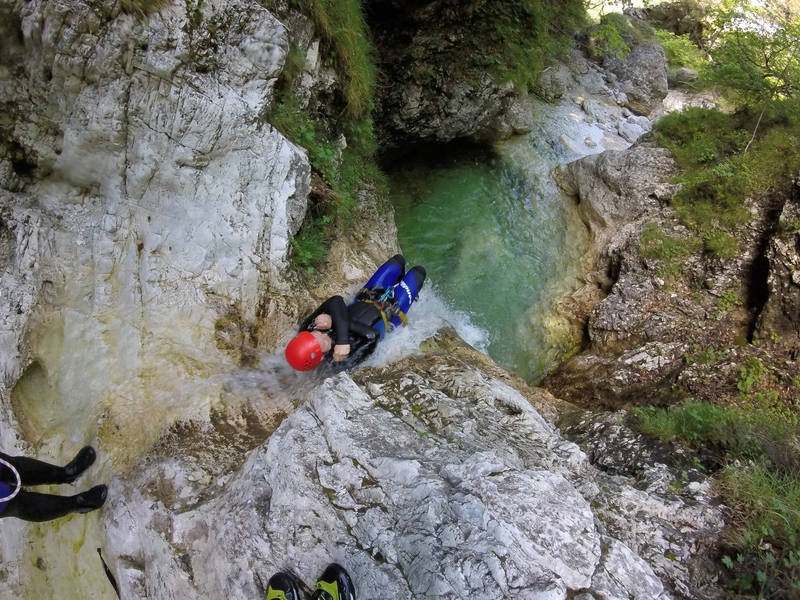 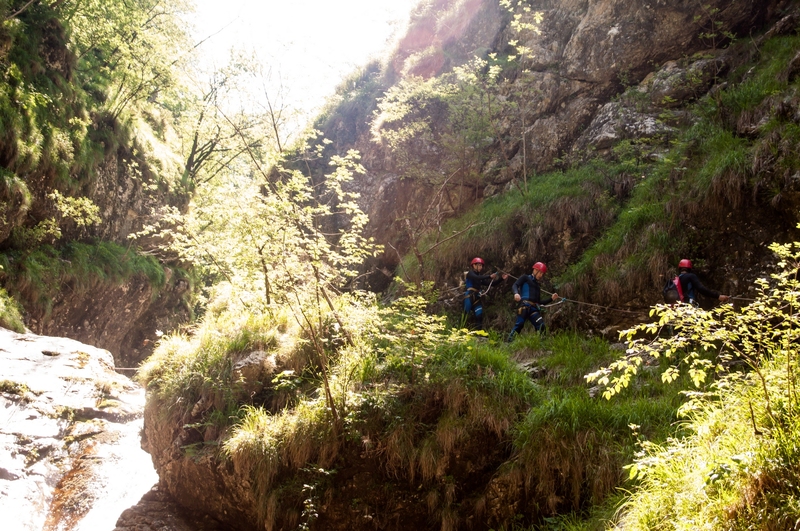 For those who have some experience in canyoning or climbing, we also offer a somewhat more demanding canyoning in the Globoski stream. 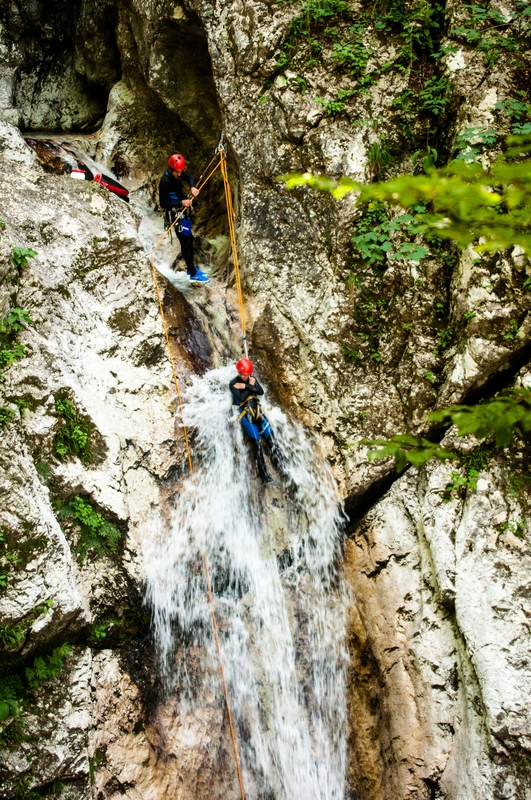 The stream descends below the Skutnik and over the river Ucja drops into the 80-meter high triple waterfall, which will be a pleasure to descend at the end. 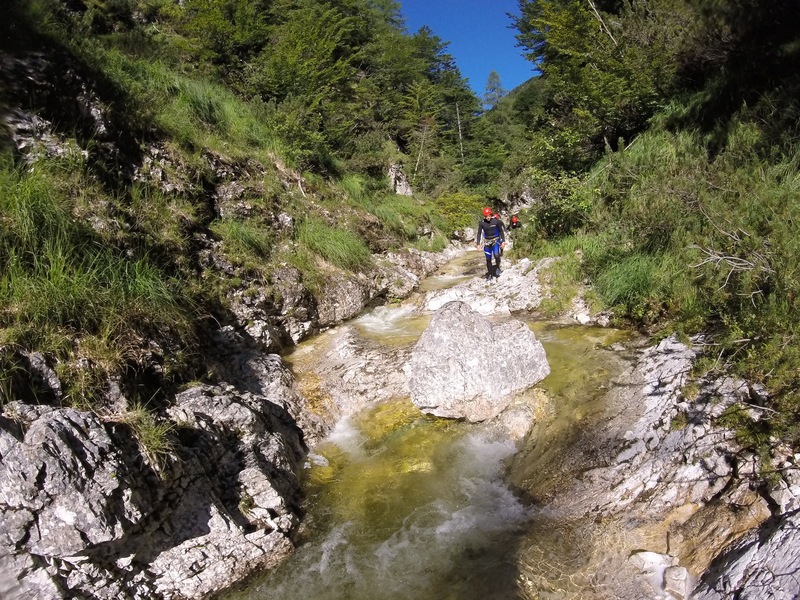 The access to the stream is wonderful, but a little more demanding, as it takes about an hour to reach the point of entry. 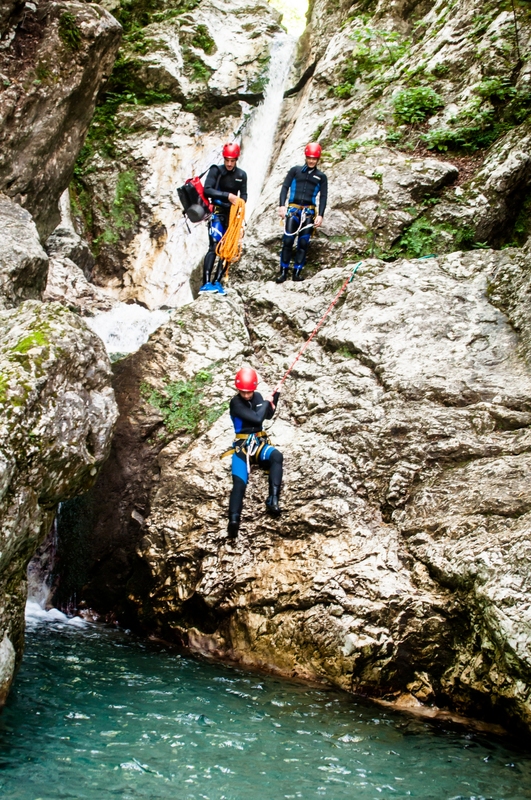 We will go down the climbing ropes and there will be no opportunity to jump into the water.